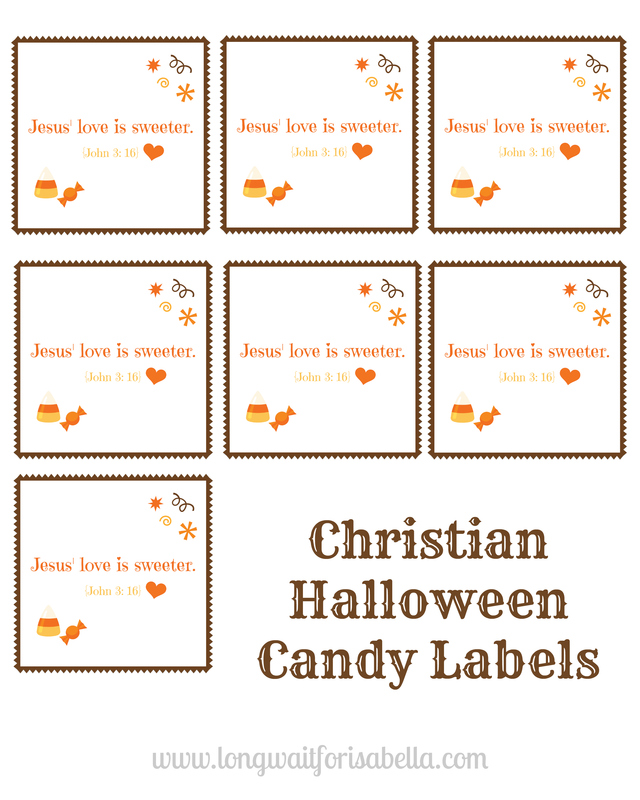 Print Out These Free Christian Halloween Candy Labels! 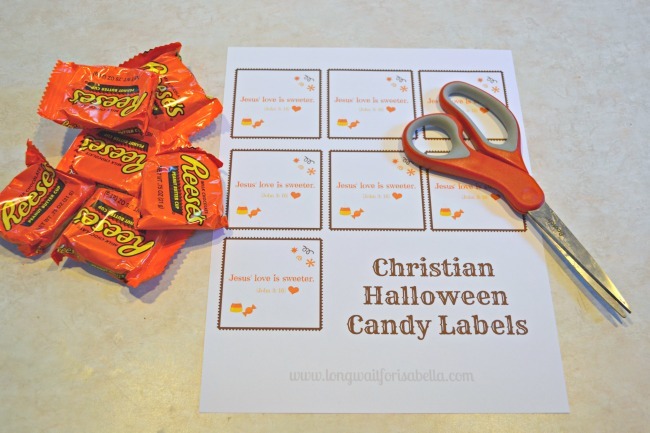 You are here: Home / DIY / Print Out These Free Christian Halloween Candy Labels! Our family does love Halloween. We have a few Halloween traditions here in small town Washington. 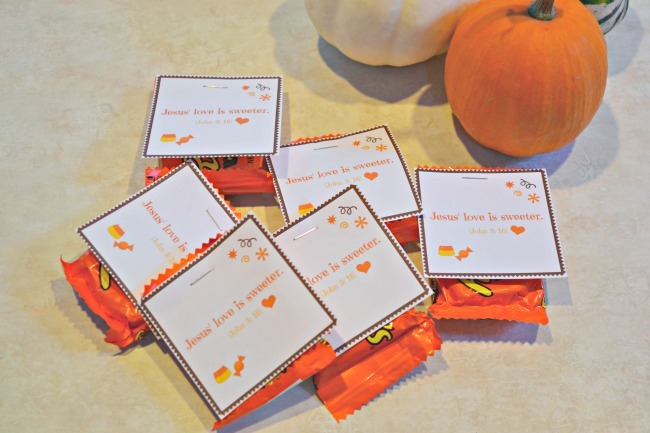 Our little town has a parade and the stores that line one tourist street give out candy in the afternoon to the kids. Then, our reservation always has a costume party with pizza, games, prizes, and more. We end our day with a Noah’s Ark party at our church. By the end of the night, we have too much sugar and lots of memories. 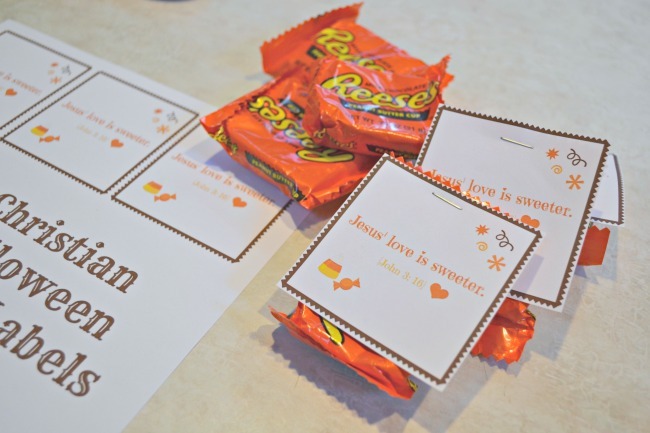 If we were actually home to hand out candy, I like to give out candy with a scripture verse on it. It’s that one night per year when families are coming to my door, who might not ever come to my door. So I take advantage by sharing Jesus’ love. 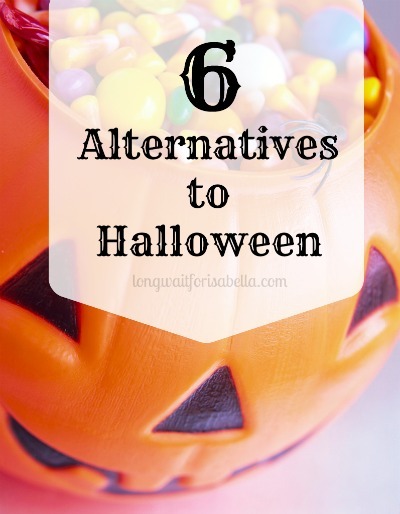 If you don’t do Halloween, I do have a great (popular) post called, Alternatives to Halloween. 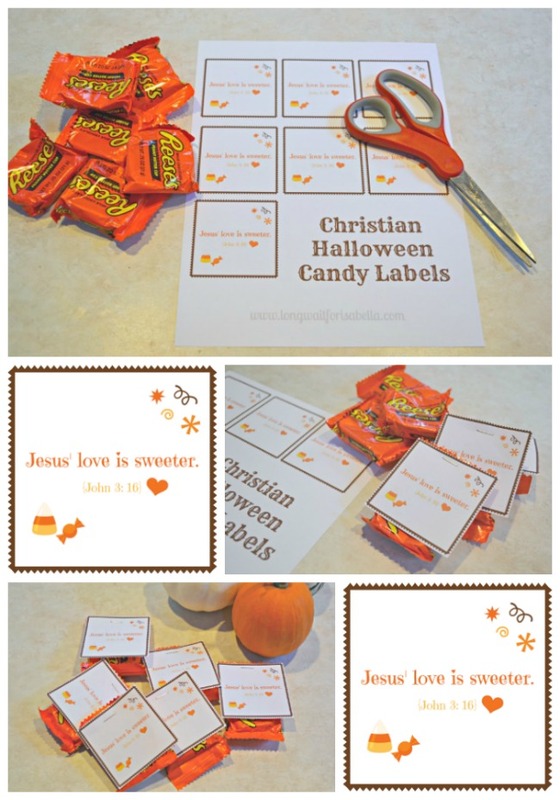 It’s simple too, all you need is to print out my simple printable (you’ll find it down below) and attach it to your favorite Halloween candy.